Similar buses would ply on Belgaum roads. Belgaum is set to get 60 new buses out of which 10 will be AC premium buses for city transport. The rest 50 would be semi low floor buses. The said buses are being alloted under the JnNNURM program for each state. The 50 buses would be standard Non AC diesel buses and 10 would be Premium Diesel AC buses. The Cabinet Committee on Economic Affairs (CCEA) chaired by Prime Minister Manmohan Singh recently approved sanctioning of 10,000 buses under the flagship programme to various states. 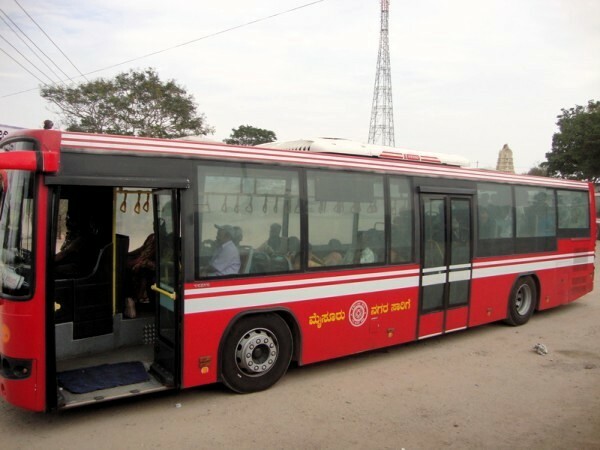 As many as 22 cities in Karnataka are likely to benefit most as the Cabinet Committee on Economic Affairs has approved funding of 10,000 buses under JnNURM. The funding for procurement of buses in cities and towns across India was approved on Tuesday and the total approximate project cost is Rs 6,300 crore and the total estimated additional Central assistance is Rs 4,450 crore. The same have been sanctioned and hence in a few months time the same would be procured by KSRTC and handed over to NWKRTC. Hubli-Dharwad got 250 new buses. With inputs from Akash Patil. They should start 24 hour bus services, keep peak n offpeak hours in concedration. Great news! But doubt if these will remain in Belgaum and hopefully not land in Hubli, like was the case last time during world Kannada sammelan. All that Belgaum got was taken away to Hubli thru Back door. After travelling in various govt run city buses, barring Delhi to some extent, none of them come close to that of Bengaluru and in general KSRTC is way above others, no wonder they have bagged so many awards (http://www.ksrtc.in/site/awards). Hope belgaum replicates some of bengluru’s luxury city bus model esp the new Mercedes Benz buses they have introduced. wow tats really cool for belgaum!!!! i hope that will increase the bus users by 50%!!!!! Ye to Achhi Baat hai lekin Road condition ka kya? Any one saw currently running good conditioned and cleaned buses in belgaum?, almost some buses are too old, before introduce a new buses in city i request a bus depo manager and committee that please take care of some old buses also. When can we see the above mentioned Bus on our belgaum roads ? ?